Dear Young People, you are too stupid to understand such concepts as tax benefits, fixed premiums, insurance and mortgage rates. But you are fully capable of playing an online game! Believe it or not, that's the strategy and concept behind new work from McCann Digital Tel Aviv. 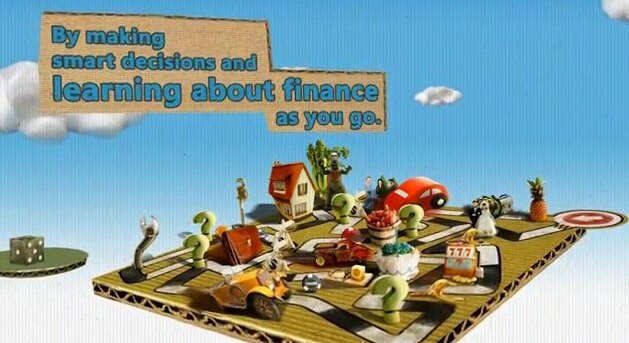 The agency has launched The Moments Game, a sort of Game of Life that aims to educate stupid young people about financial concepts and their importance in life. Claiming campaign success, the agency notes the site has had 162,000 unique visits since launch with an average time spent on site of 14 minutes. That's like concluding people enjoy going to the dentist because they spend thirty minutes in a chair as someone picks at their teeth. How about something meaningful like a test at the end of the game to determine what players have learned. Oh wait. That would be hard. And stupid people don't like hard.